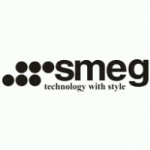 Exclusive aesthetics, superb quality and unmistakable design are the ingredients that make any SMEG appliance unique. The Victoria is no exception. Inspired by the very first “Elizabeth” model, this easy to use appliance adds heart & soul to the home. 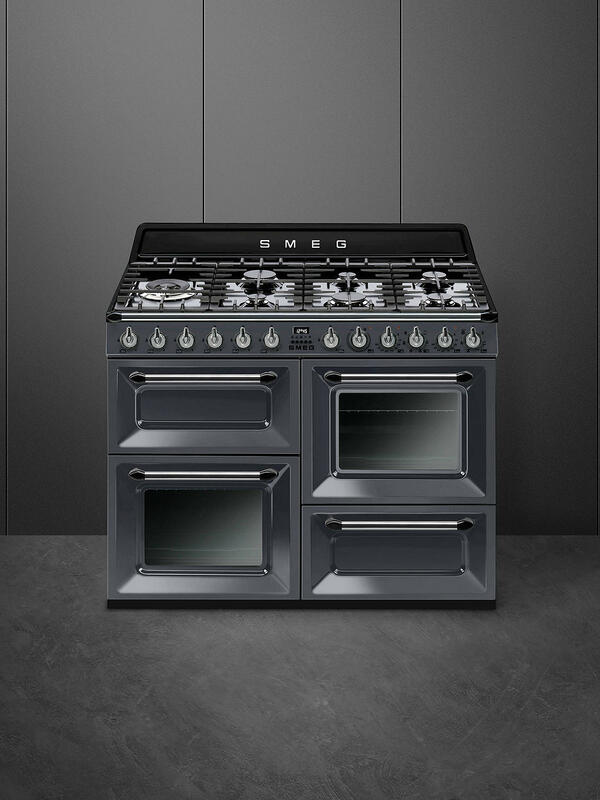 Measuring 110cm wide, the Victoria cooker offers 7 high performance gas burners, including an ultra-rapid burner of 4.20kW perfect for wok cooking. The grill compartment is fully variable offering 2 grilling levels and a generous capacity of 36 litres, whilst the two oven compartments each boast an equally capacious 63 litres and are side opening for easy access. 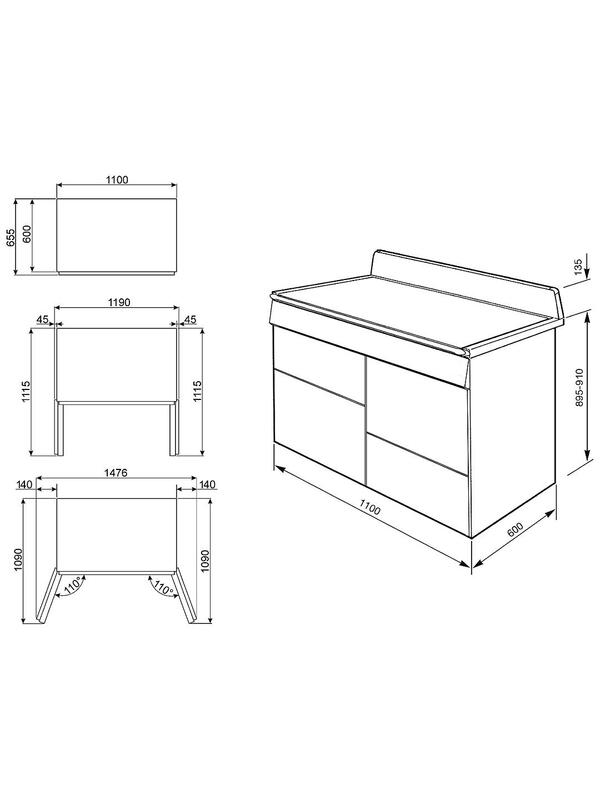 Underneath the right hand oven is a useful storage drawer, perfect for housing accessories and plates. 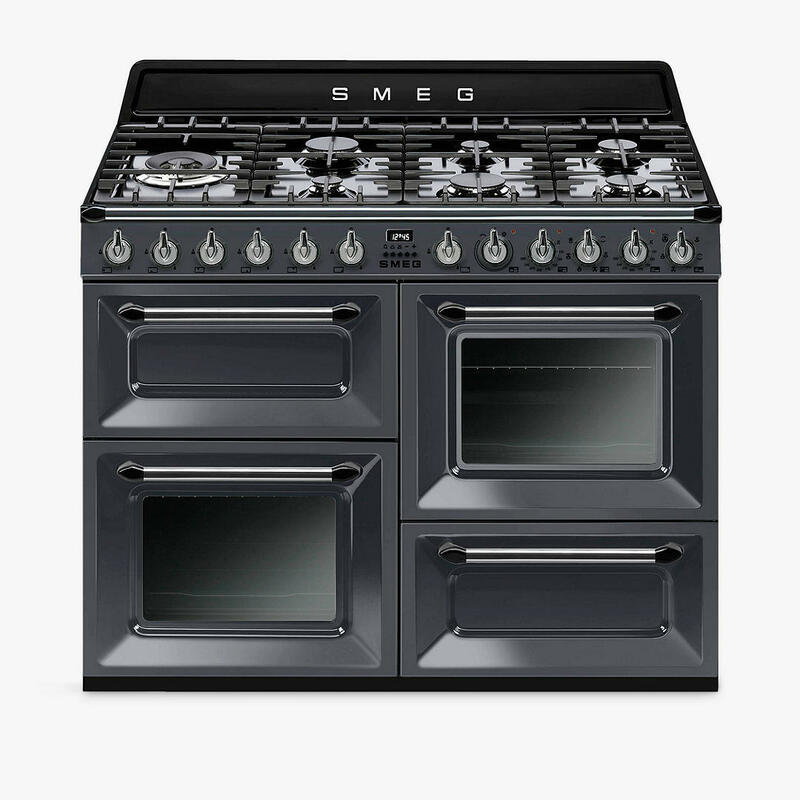 Smeg’s love of detail is shown through-out in such features as the signature 1950’s retro branding on the upstand, allowing co-ordination with other 50’s style appliances, and light controls, useful for those with hand dexterity issues. The Victoria makes a great addition to any home.